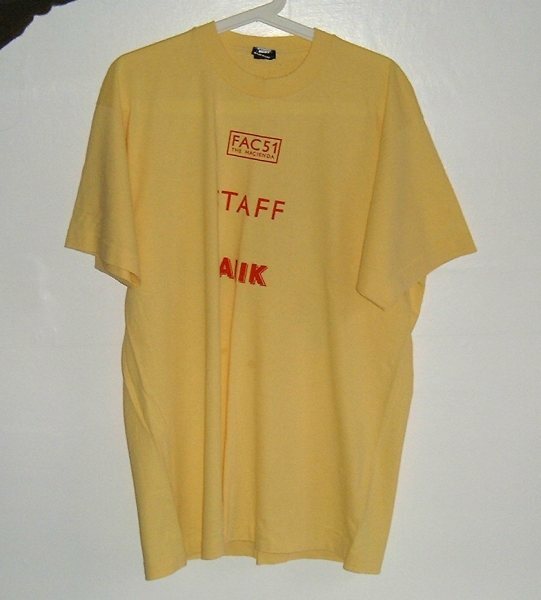 Official Hacienda Tenth Birthday Staff (Kalik) T-Shirt. 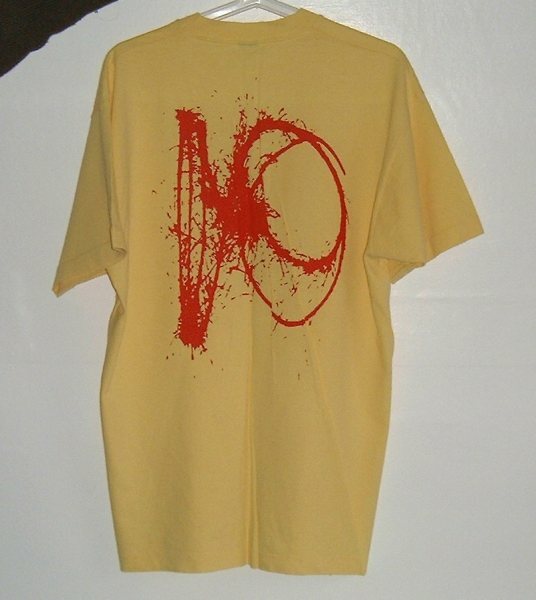 Red logo/text on yellow t-shirt. Thanks to Ang Matthews for info and imagery. Thanks to Eastie for photography. Cerysmatic Factory | cerysmatic.factoryrecords.org | an unofficial history and archive about Factory Records, the independent record label from Manchester, England | Home | News | Haçienda | Designers | AHW | History | Events | Film | Edifices | TV | Artefacts | Labels | Cerysmatic | Contact | Credits | FAQ | Site Map | Factory Too | F4 Records | Factory Benelux | Video | Posters | T-Shirts | Badges | Factory Christmas Cards | Publications | Classical | Edifices | Stationery | some content © Copyright 1998-2019, John Cooper | Another Cerysmatic Design | See also: The Factory Records Catalogue | Would you put day drinking under "Experience" or "Special Skills"?